I’ve got a short, but updated story on the Gazette’s Web site that explains some initial basics on the 4th Circuit’s ruling in the big mountaintop removal case. A federal appeals court today overturned a judge’s 2007 decision to require more thorough permit reviews of mountaintop removal mining operations. In a victory for the coal industry, the 4th U.S. Circuit Court of Appeals in Richmond, Va., rejected the decision by U.S. District Judge Robert C. Chambers in Huntington. 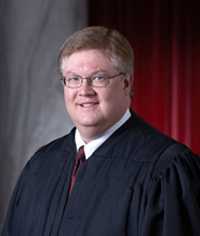 By a 2-1 vote, a 4th Circuit panel concluded that Chambers wrongly did not defer to the federal Army Corps of Engineers interpretation of its own rules when granting Clean Water Act permits for mountaintop removal coal operations. “In matters involving complex predictions based on special expertise, a reviewing court must generally be at its most deferential,” wrote Judge Roget Gregory in a 74-page opinion on behalf of himself and Judge Dennis Shedd. Gregory and Shedd also ruled that Chambers wrongly determined the corps should have considered environmental effects before the direct impacts on the streams being filled. Those other effects — on surrounding valleys and forests — are best left to be regulated by state agencies under the federal strip mine law, Gregory and Shedd concluded. And I’ve also posted Judge Chambers original decision here, so folks can recall what he had to say on the matter. Word just in that the 4th U.S. 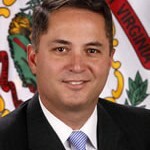 Circuit Court of Appeals in Richmond, Va., has overturned Judge Robert C. Chambers’ 2007 mountaintop removal decision. I’m reading the decision now, but have posted it here. I welcome comments from everyone on this major development. 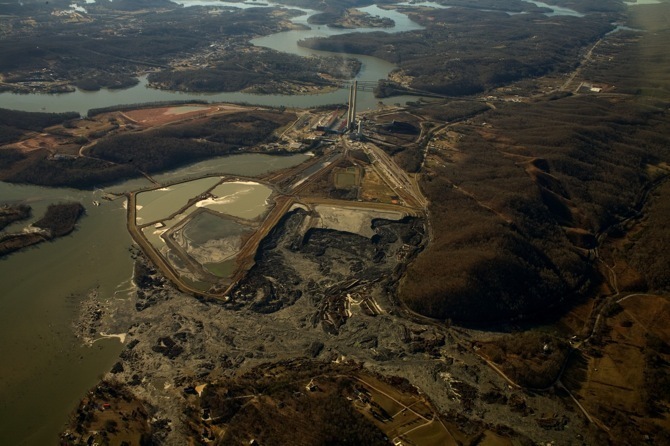 TVA says it could cost $825 million to clean up the mess left from the failure of its coal-ash impoundments in Tennesse. Remember that the TVA rejected several options for fixing problems at the site, the most expensive of which would have costs $25 million. The National Park Service is urging state regulators not to renew a permit for a mountaintop removal permit for Powellton Coal’s Bridge Fork West Surface Mine, located near the towns of Jodie and Ansted in Fayette County, W.Va.
Local Park Service Superintendent Don Striker told DEP in a January 22 letter that “extensive violations” of water pollution limits by the mine “causes us great concern for potential threats” to the New River Gorge National River and the Gauley River National Recreation Area. …Powellton has been exceeding permit limits for discharge for daily and monthly averages at an extremely high frequency, registering a substantial number of violations of multiple parameters including suspended solids, iron, manganese and aluminum. These pollutants pose a threat to aquatic life and human welfare. Precipitates of aluminum, iron and manganese can coat stream bottom substrate limiting the available habitat for aquatic life, suspended solids are also harmful to aquatic life through the erosion of gills, and aluminum is known to be toxic to aquatic life, and has been associated with neurological and bone diseases in humans. The frequency of exceeding permit limits indicates a lack of commitment on the part of the permittee to employ adequate controls that will limit the impacts of this operation on downstream resources. A couple of folks have e-mailed me to ask for details on Gov. 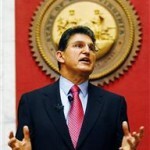 Joe Manchin’s bill to regulate carbon capture and sequestration in West Virginia. I haven’t seen the legislation, and the governor’s office said this afternoon they weren’t ready to release it publicly yet. We’ve required foremen and fire bosses to undergo additional training and made it easier to shut down problem mines. We will continue to face challenges in this demanding industry, but let me assure you — our mission is still to protect every miner so that he or she will return home safely to their families. A House Natural Resources subcommittee just finished a hearing on committee Chairman Nick J. Rahall’s bill to regulate coal-ash impoundments, and one thing that jumped out at me was the lack of any support from the Obama administration. The Department of the Interior and the Administration are currently weighing how best to address this legislation. The Administration has not yet come to a conclusion as we consider different regulatory authorities and approaches for this issue, but will do so in the future. Cranyon’s remarks probably didn’t surprise environmental groups, who aren’t too happy about the prospect of OSM taking the lead in regulating coal-ash management anyway. Of course, as Rahall pointed out during today’s hearing, EPA has studied the issue for 30 years, but still hasn’t acted to regulate coal ash. I’ve been reading through Gov. Joe Manchin’s energy bill again,Â and wanted to make it clear to everyone exactly how the legislation gets to the point of coal being considered an “alternative” fuel. (9) any other resource, method or technology certified as an alternative energy resource by the Public Service Commission. 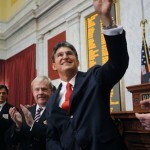 Manchin proposes “alternative” energy standards for W.Va. The proposal is carefully named and crafted to include coal. Under the proposal, a broad variety of coal projects could quality in helping utilities to meet Manchin’s standards. Since the election returns were counted, two names have been about the only ones mentioned as being in serious contention to be President Barack Obama’s pick to run the U.S. Mine Safety and Health Administration. Davitt McAteer, the longtime mine safety advocate who ran MSHA during the Clinton administration; and Joe Main, the UMW’s now-retired longtime safety and health director. Initially, word was that the UMW was staying out of whatever fight was brewing over whether McAteer or Main would get the job. Either McAteer or Main would be fine with them. At least that’s what most sources were saying. 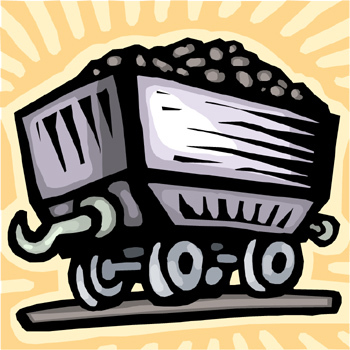 It’s not that surprising that coal mining has played a role in each of Gov. 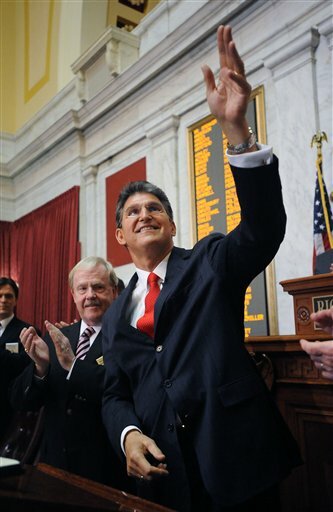 Joe Manchin’s previous four State of the State addresses. Coal remains a big part of West Virginia’s economy, though concern about mining’s impact on our land, water and climate (not to mention the safety of the workers who mine it) continue to grow. With the governor preparing to deliver the first State of the State of his second term Wednesday evening, I thought coal watchers might want to revisit what Manchin has had to say about the industry during his previous annual messages to lawmakers and state residents. As many of you aware, there are power companies are looking to build clean coal technology plants somewhere in the east, and I will fight to make that expansion happen in West Virginia. It has been a difficult week in our state. Just seven short days ago, we lost 12 hard-working and brave West Virginians; men who left their homes each day knowing the inherent difficulty and danger of the jobs they performed and men who were proud to provide for their families, proud to be a West Virginian and proud of the energy they produced to keep America strong.We cannot know the purpose of this tragedy â€“ but I assure you we will discover the cause. I am committing every resource available to me to aid in the investigation – not only to determine what happened inside the Sago Mine that caused this terrible accident, but also how the information received outside of the mine regarding the condition of the miners could have been so horribly wrong. Families should never be put through such a heartbreaking, emotional nightmare. Even more important, I rededicate myself and the State to the task of making our mines the safest in the country so that we can avoid future tragedies like the one we have just experienced. February 9, 2009 by Ken Ward Jr.
U.S. Mine Safety and Health Administration officials have released their preliminary report on last week’s coal-mining death in West Virginia. 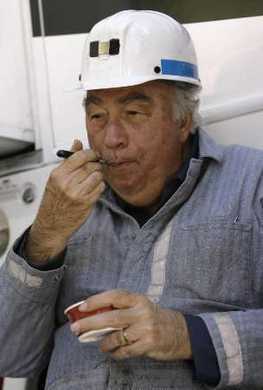 For a long while now,Â I’ve suggested that MSHA post these reports on its website. But they’ve never taken me up on my suggestion. So I guess I’ll just do it for them. So here’s the preliminary report on the year’s first-coal mining death. William Darrell Wade, 70, died February 6, 2009. At the time of his death he was a resident of Charleston. He was loved and survived by his beloved wife of 47 years, Sandra Lee Herald Wade; and by his sons, Pastor Kevin Wade of Charleston, and Pastor Kelly Wade of Charleston; and by his daughter, Whitney Wade Seacrist of Bloomingrose. He was honored by two daughters-in-law, Pam and Lisa Wade; and one son-in-law, Rob Seacrist. He was blessed with grandchildren who cherished him, Casey Adkins, Jake Wade, Cody Wade, Russi Martin, Carrie Brake, Matt Seacrist, Darrell Wade, Aaron Wade and Savanna Wade and adored by Rachel Whitney Adkins and Grant Matthew Adkins, and great-grandchildren ages 5 and 3 who never failed to make â€œPappa Smurfâ€ smile. He was the brother of Shirley Kim of Beckley, Earl Wade of Stafford, Virginia and Martha Hope Cox of South Carolina. He was preceded in death by his mother Sadie D. Wade of Culpepper, Va.
A service for Darrell Wade will be held at 11 a.m. Thursday, February 12, at Wilson Funeral Home, Charleston. Mr. Wade will be laid to rest at Forest Lawn Cemetery, Logan. On line condolences may be sent to www.wilsonfuneralsandcremations.com. 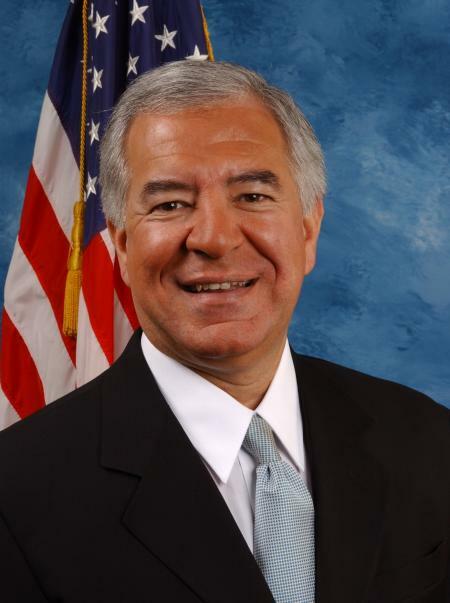 House Natural Resources Chairman Nick J. Rahall this afternoon released a copy of a letter he sent a week ago to incoming Obama administration EPA chief Lisa Jackson regarding coal-ash regulations. Earlier today, I described the concerns of some envirnomental groups that Rahall was not going to support EPA making a determination that coal ash should be subject to regulation as “hazardous waste” under the federal Resource Conservation and Recovery Act. (See Coal Ash Comes to Congress). The status quo is not acceptable when it comes to the regulation of coal combustion wastes, especially in light of recent advances in air pollution control technologies, which have resulted in the capture of significant amounts of toxic residue that previously would have been released into the air. Randy Huffman, secretary of the state Department of Environmental Protection, is scheduled to deliver a report to lawmakers Tuesday on his agency’s investigation of whether coal slurry that’s injected into underground mines is getting into drinking water and making people sick. But as we learned this weekend from Associated Press writer Vicki Smith, DEP hasn’t really been able to figure out the answer to the question asked by lawmakers and coalfield residents. But Huffman is going to present at least some sort of updated report to the Legislative Water Resources Committee during a meeting at noon Tuesday in the HouseJudiciary Room (410M) of the state Capitol. 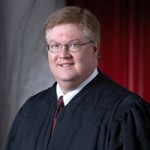 There’s been a fresh flurry of op-ed commentaries recently about the Brent Benjamin-Don Blankenship connection, and whether Chief Justice Benjamin should have recused himself from the big Harman Mining case after Blankenship bankrolled Benjamin’s election to the West Virginia Supreme Court of Appeals. 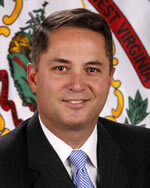 Mayor Jones wrote that the Gazette’s bias was showing, alleging the paper has criticized coal money that helped put Benjamin in office, but not labor money that supported his opponent, Justice Warren McGraw, or Justice Larry Starcher (Jones and Benjamin are Republicans; McGraw and Starcher are Democrats). Â There are “colonies” within the United States. West Virginia is in a sense a microcosm of such a colony. It is partially owned and effectively controlled by coal, power, and railroad companies, which in turn are controlled by vast financial interests of the East and Middle West. The state legislature answers to the beck and call of those interests. 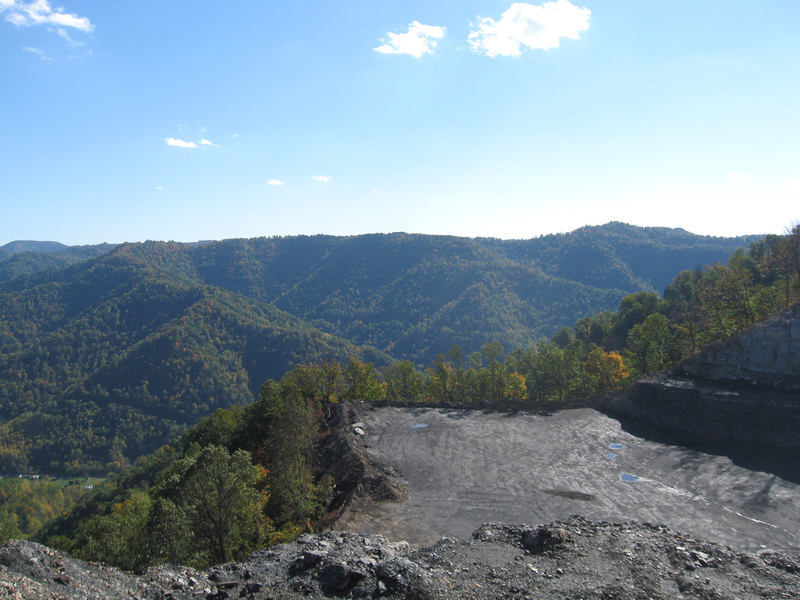 Strip mining, the curse of several States, has easy going in West Virginia. Black lung cancer takes an awful toll among miners. The Establishment gave in a little and allowed the legislature to pass a sort of a law under which a man totally disabled from black lung cancer gets, at the most, $2500 a year â€” guaranteed to keep him at the poverty level. The Establishment controls, of course, the agencies and commissions that administer the welfare, compensation, and unemployment systems of the State. The “mother” interests that own the wealth of West Virginia appear secure. But under the surface there is violence boiling. I actually looked those quotes up, because it wasn’t clear from Swint’s commentary whether they came from a court opinion or some other writing by Justice Douglas. For anyone who is interested in understanding the Harman Mining recusal issues in more detail, the West Virginia Business Litigation blog, by Jeffrey Mehalic, has been posting the briefs as they are filed. And I also commend to your attention Justice Benjamin’s own concurring opinion, in which he explained his reasons for not removing himself from the case (Starting at the bottom of page 17). 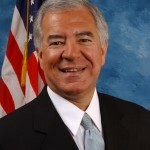 A House Natural Resources subcommittee has scheduled a hearing for later this week on committee Chairman Nick J. Rahall’s legislation to regulate the design, construction and inspection of coal-ash impoundments across the nation’s coalfields. The hearing is set for 10 a.m. Thursday before the Subcommittee on Energy and Mineral Resources. — John Craynon, mining engineer and chief of regulator support at the U.S. Office of Surface Mining, Reclamation and Enforcement. — J. Davitt McAteer, vice president at Wheeling Jesuit University and former head of the U.S. Mine Safety and Health Administration. — Tom FitzGerald, Kentucky Resources Council. — Sandy Gruzesky, director of the Division of Water, state of Kentucky. Gazette readers recall that Rahall’s legislation (H.R. 493) would apply to coal-ash impoundments regulations substantially similar to those that currently apply to coal slurry impoundments under the 1977 federal strip mining law. 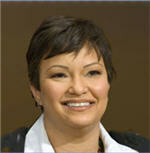 For more about the legislation, check back to this article on the Gazette Web site. The battle overÂ the future ofÂ Coal River Mountain moves from on-site protests to courtroom legal arguments Tuesday. Folks who are interested in this growing controversy over whether the area’s ridges should be a strip mine or a wind-energy facility might will want to follow what happens at an upcoming hearing before the state Surface Mine Board. The board has scheduled a hearing for 8:30 a.m. Tuesday in Charleston on an appeal filed over the state Department of Environmental Protection’s approval of a permit for Massey Energy subsidiary Marfork Coal’s proposed mountaintop removal operation at the Bee Tree Surface Mine site. Three “bounces” of coal in Murray Energy Co.’s West Ridge mine, the last of which injured a miner on Saturday, have shut down the mine’s longwall mining machine and sparked a legal fight between the company and the federal Mine Safety and Health Administration (MSHA). Murray Energy’s Utah subsidiary, UtahAmerican Energy Inc., has asked a federal administrative law judge in Denver to overturn an MSHA citation requiring the company to change its roof control plan before the longwall machine can operate again. Of course, Murray Energy’s Crandall Canyon Mine was the site of the August 2007 disaster — a “bump” that killed six workers and a follow-up outburst that claimed the lives of three rescue workers.